When the village’s prodigal son, Huw Hughes, returns and sets his cap at Annie Parker, village publican Tudor begs Annie’s colleagues at the WISE Enquiries Agency to unearth the truth behind Huw having been widowed three times. With Christine enjoying a break at her family’s Irish estate – where she and the brooding Alexander face a surprisingly dangerous case of theft – Mavis and Carol have to work with dowager duchess Althea Twyst to ensure their unsuspecting friend Annie’s safety…and possibly the lives of more villagers. Henry Devereaux Twyst, eighteenth Duke of Chellingworth, is terribly worried about some water damage to the priceless books in his lower library, so retains the services of a local book restorer to tackle much-needed repairs. The antiquarian also runs the Crooks and Cooks bookshop with his daughter local TV celebrity chef, The Curious Cook. When the book restorer mentions some strange shenanigans going on at the book shop, Dowager Duchess Althea brings the case to her colleagues at the WISE Enquiries Agency. 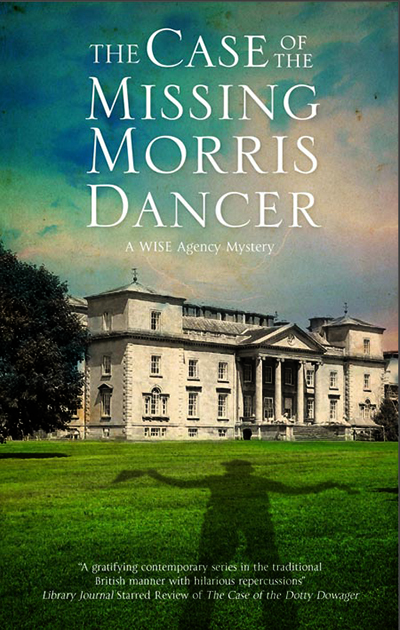 As the WISE women try to unravel one puzzle from their base at stately Chellingworth Hall, they then get embroiled in another when they come across a valuable book of miniatures which seems to be the work of a local famous artist, murdered by her own brother. Are the cases linked and why do both mysteries lead to a nearby old folks home? The WISE women are on the case and nothing will get in their way . . . Or will it? Click on the book cover to view, then choose if you want to buy right there, or if you want to approach your local booksellers to find out if they have/can order the book for you. Or maybe you could ask your local library to get it for you. Check out MURDER KEEPS NO CALENDAR, which contains the earliest WISE Enquiries Agency novella - be there when the women meet for the first time! Then read MURDER KNOWS NO SEASON where there’s a second novella featuring an early case for the WISE women.